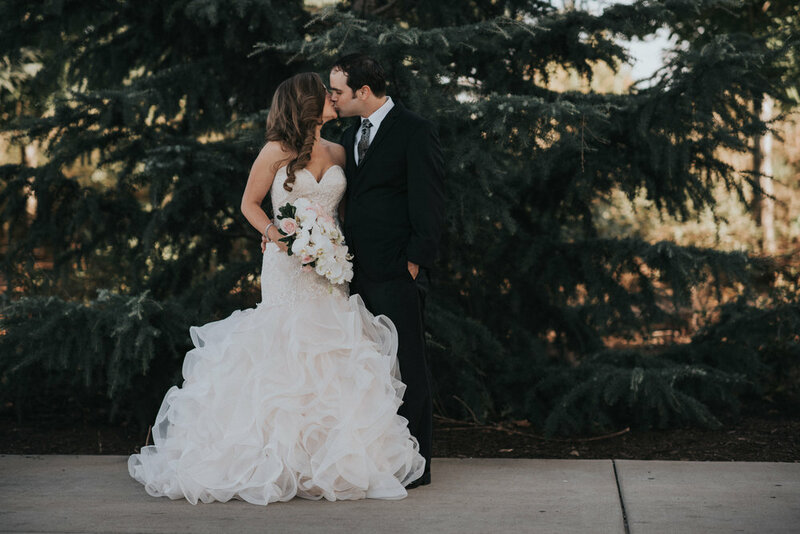 We've loved every minute of getting to know Trish + Mitch through their wedding journey. 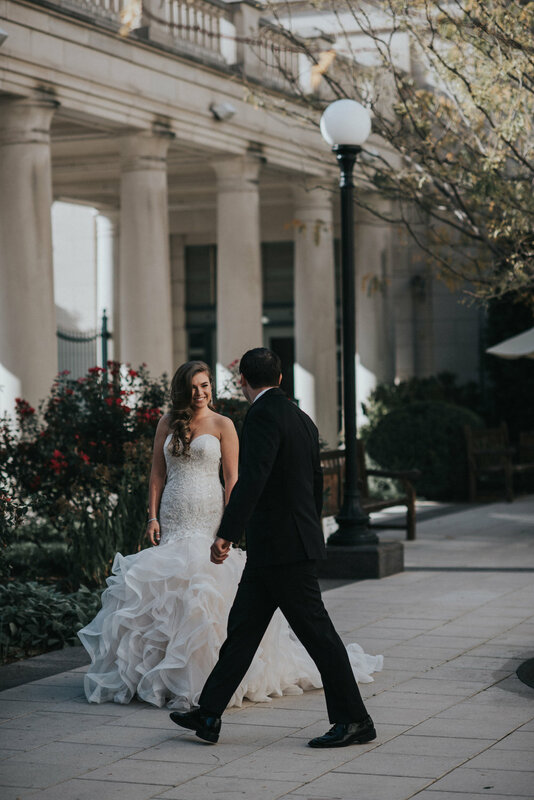 They are so much fun to be around! 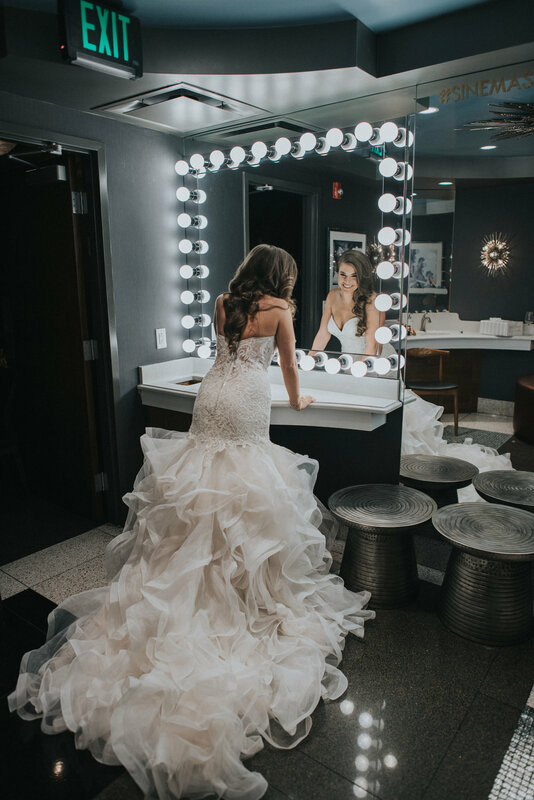 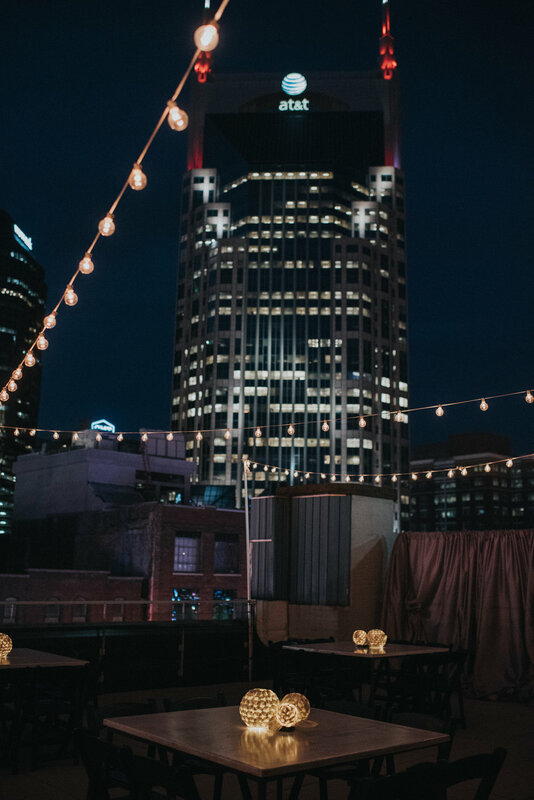 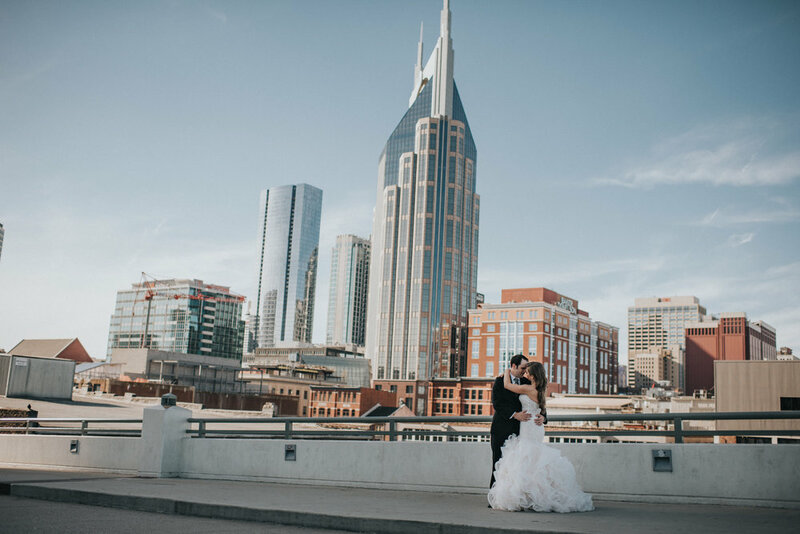 Their wedding day perfectly encompassed their unique and genuine love for each other- starting in the coolest restroom in Nashville at Sinema and ending at the most epic rooftop venue in Nashville- Aerial. 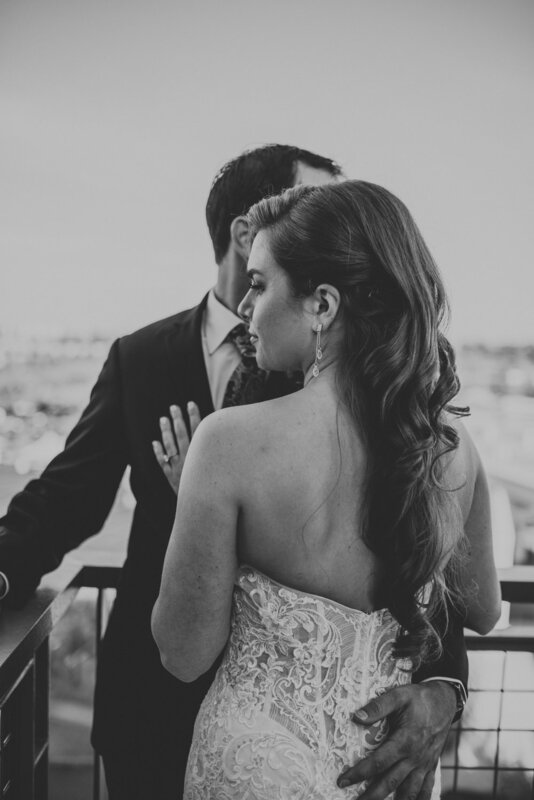 Their rooftop ceremony was absolutely breathtaking- its definitely a night we will never forget!